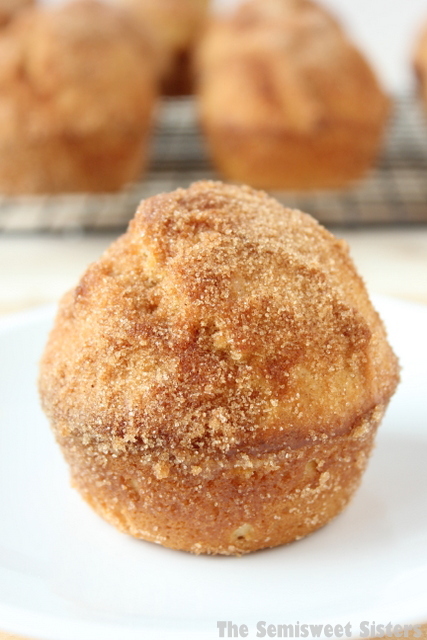 Cinnamon & Sugar Donut Muffins. I don’t know about you but I’m a breakfast for dinner kinda gal whenever it sounds good. I love breakfast food! You know who has the best hashbrowns? The Waffle House. They are amazing! Seriously. I’m addicted to them. My friend from the south thinks I’m crazy because I’m for northern IN and we don’t have any Waffle House restaurants here. I know crazy right? We need one! Anyways, lets talk about donut muffins. They are pretty neat aren’t they? I think they are easier to make than donuts. I thought they tasted like a donut, my sister said they reminded her of coffee cake but I think that’s just because all the cinnamon flavor. I love cinnamon! Have you ever noticed how many breakfast foods involve cinnamon? Cinnamon rolls, cinnamon toast crunch cereal, cinnamon swirl bread, cinnamon sugar donuts, cinnamon toast, coffee cake, etc. I love them all! 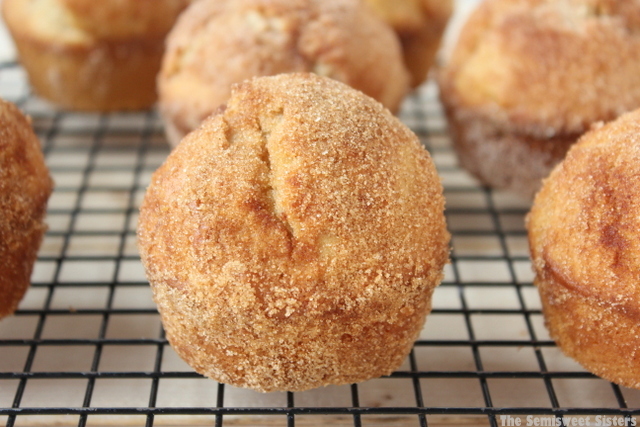 I could have called these churro donut muffins because they also remind me of churros with all that cinnamon & sugar coating. These donut muffins have a high crown so they will rise a lot in the oven! PS. If you have a donut pan you can also make these using that too, just reduce the baking time to 10 minutes. Preheat oven to 425°F. Grease 12 muffin tins or line with muffin cups. Cream sugars, butter, & oil together. Stir in baking powder, baking soda, nutmeg, salt, & vanilla. Stir in flour & milk alternating between the two, mix until it is well combined. Spoon into prepared muffin pan (I like to use an ice cream scoop), fill until almost full. Bake 15-18 minutes or until the tops are golden brown & a toothpick inserted in the center of one comes out clean. Cool for a few minutes or until they are cool enough to handle. In a small bowl, melt the 3 tablespoons of butter in the microwave. Mix the sugar & cinnamon together in a small bowl. 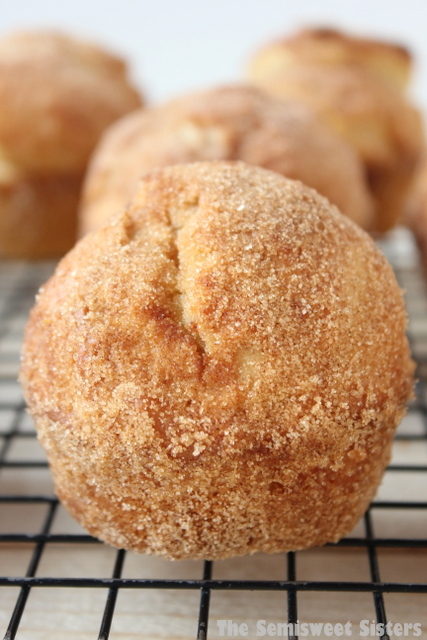 Brush melted butter on to tops & sides of muffins, roll or dip in the cinnamon & sugar mix. Serve warm or store in an airtight container at room temperature. Adapted slightly from King Arthur Flour. I can’t get enough of cinnamon sugar donuts.. i think they have to be one of my favourite indulgences ever. 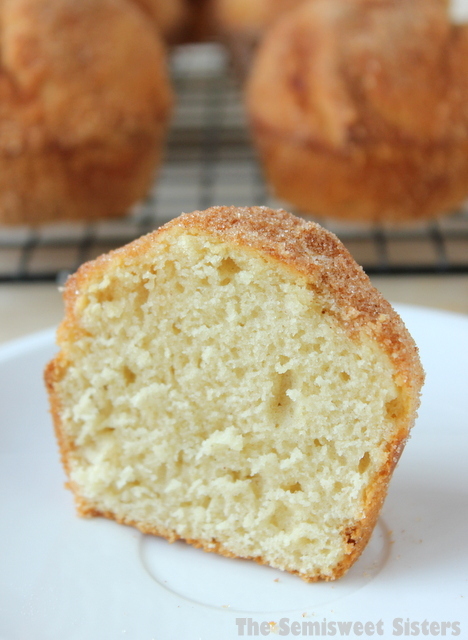 I definitely need to make these donut muffins – they look awesome! Katie, these look so dang good! I love cinnamon sugar anything (how can you not?! ), and on donut muffins? Sold. Thanks Michelle! I’m crazy about anything cinnamon & sugar too! Do you know the nutrition on these? Hi Rae, No. If you’d like to see the nutritional facts on this recipe you can use a site like: http://www.myfitnesspal.com/recipe/calculator to calculate the information. Thanks.